Ember Test Selectors enables better element selectors in Ember.js tests. 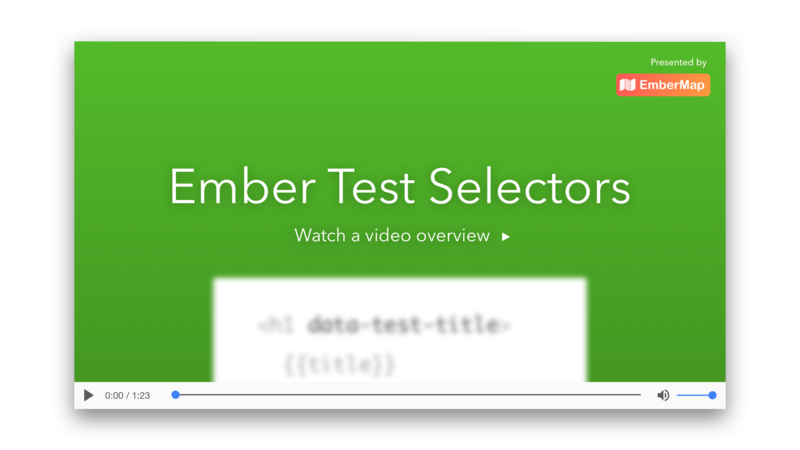 This is only a very brief overview of Ember Test Selectors's features. More detailed docs can be found in the README. Ember Test Selectors is not an official part of Ember.js and is not maintained by the Ember.js Core Team.